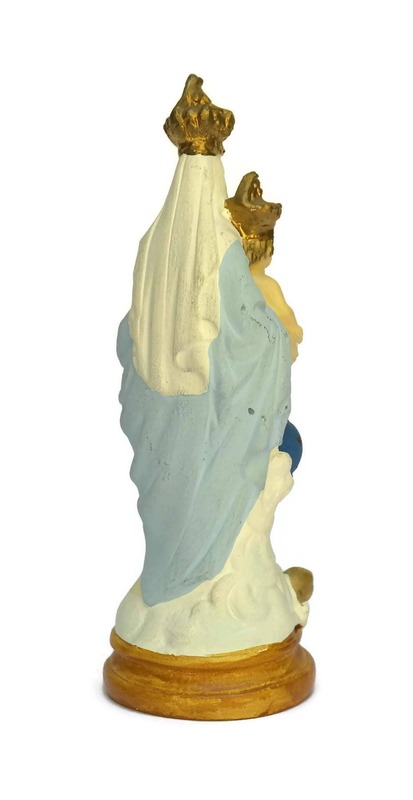 Vintage Virgin Mary Statue. Notre Dame des Victoires. 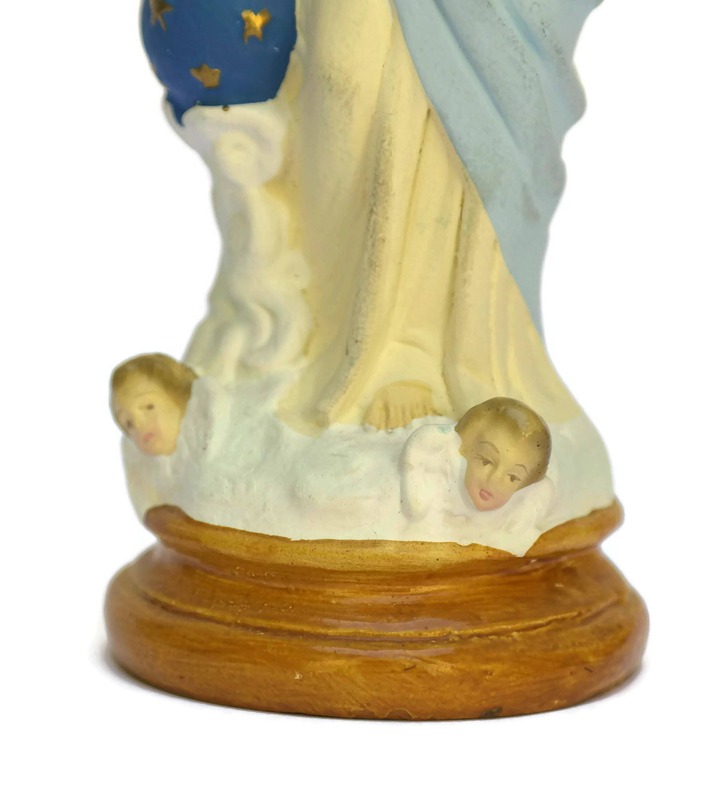 A beautiful vintage French figurine of the Virgin Mary and Infant Jesus. 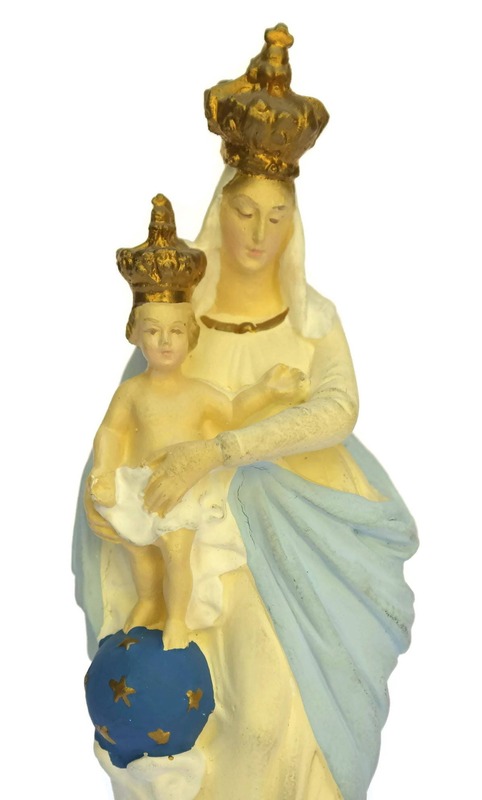 It represents the statue of Notre Dame des Victoires in Paris. 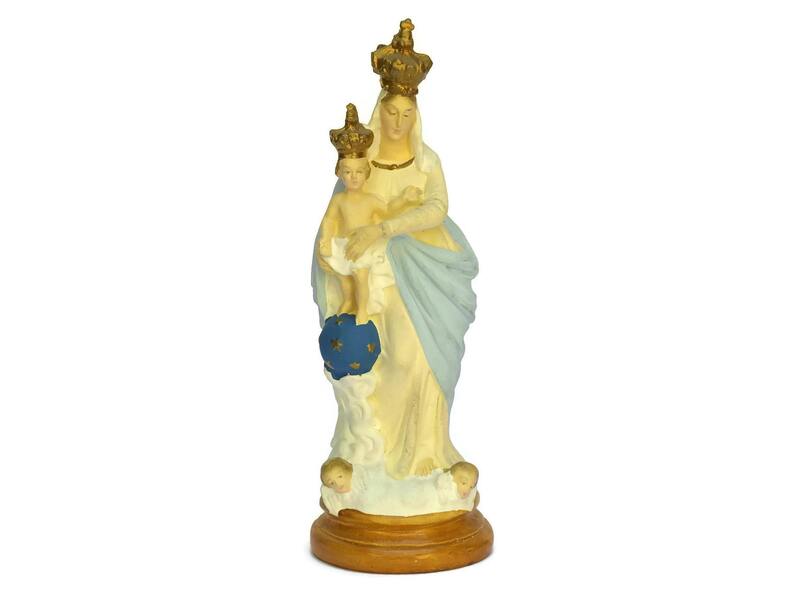 The petite figure has been cast from plaster and delicately hand-painted with charming details. 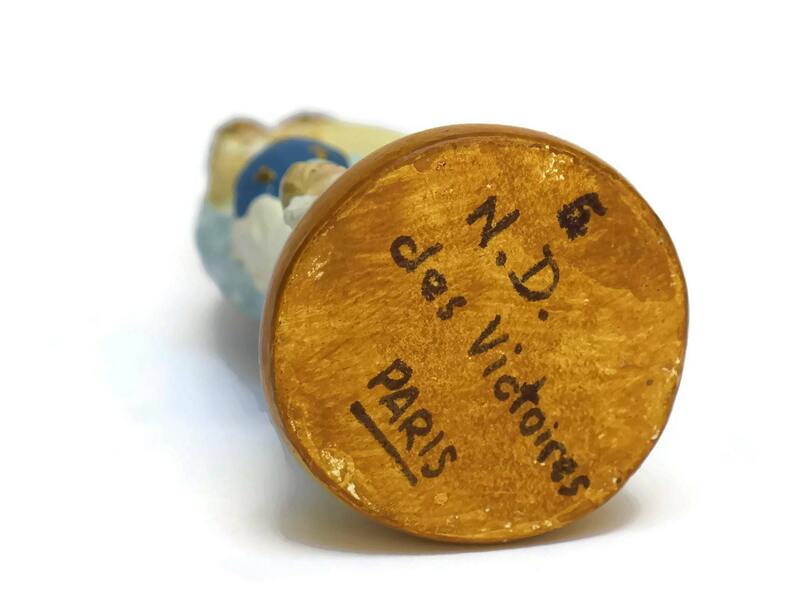 The statuette of Notre Dame des Victoires is in very good condition.